Savannah Resources PLC (LON:SAV) CEO, David Archer talks to DirectorsTalk about new robust lithium intersections which have been found in at the Mina do Barroso Lithium Project, Portugal. David talks us through the highlights, explains the purpose of the drilling, how this plays into the bigger picture and lets investors know what work programmes and news flow they can expect to see going forward. 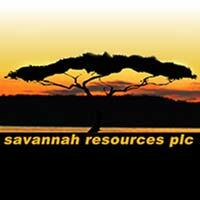 Savannah is a diversified resources group with a portfolio of energy metals projects – lithium in Portugal and copper in Oman – together with the world-class Mutamba Heavy Mineral Sands Project in Mozambique, which is being developed in a consortium with the global major Rio Tinto. We are committed to serving the interests of our shareholders and to delivering outcomes that will improve the lives of our staff and the communities we work with.